At CarOutfitter, we know that a car is not just a way of going to and coming from work. A car is much more than that. For us, car enthusiasts, a car is not the way you go on an adventure, but it’s part of that adventure itself. A car can be part of all the important moments in your life. You use a car to pick up the girl you like and take her out on a date. Later on, you get in the car and go on your honeymoon. You drive the car over the speed limit to reach the hospital in time because your new wife is in labor. This is why we’re passionate about cars. They’re not just vehicles, they’re an important part of our lives. Such an important part of our lives must be taken care of. This is why you’ll only find the best car accessories from renowned manufacturers on our website. We believe that every car part is important, so we evaluate hundreds of models and only select the best to feature on our website, no matter the product. A car is only as good as its components. That’s why we believe that your car should be equipped with the best headlight bulbs. Now, go to any car festival and you’ll see that every car enthusiast has a certain preference when it comes to light bulbs. Some will say that halogen headlight bulbs are better than LED headlights because they last longer, even though that can’t possibly be true. Other people will say that only an HID conversion kit will improve your night driving experience. Even though such a kit is definitely more efficient than your stock lights, choosing a certain headlight system is mainly a matter of preference. One thing we know for sure, though. You cannot expect your headlights to spend countless hours in the sun and drive thousands of miles, and still be as clear as they were the day you bought them. That’s the reason the headlight restoration kit was invented. You can make sure that your headlights are crisp and clean, so you’ll have no trouble driving at night. We all know driving can be really fun. Some people like driving on highways, where they can test their car’s speed, while others enjoy driving on mountain roads and test their car’s maneuverability and their driving skill in steep curves. But you cannot deny driving isn’t the same without music. Speeding on the highway is definitely nice, but doing it while listening to your favorite tracks is even better. If you like listening to music, you’ll probably need a touchscreen car stereo and an aux cable. This will allow you to play your phone’s music through the car’s sound system. Comfort inside the vehicle matters and if you rid with your family and kids, obtaining a nice backseat organizer can go a long way – especially on a lengthy trip. If you really like your car, you should take care of it. This doesn’t mean you’re supposed to take it to the mechanic every two weeks, but you can do some small tasks yourself and prolong its life. One of the things you can easily do is use a fuel injector cleaner to keep your car’s engine free of debris buildup. Maintaining the area under the hood in mint condition is essential and you might want to look for a **catalytic converter cleaner** as well. Another thing you can do periodically to increase your vehicle’s rating is using an octane booster. This will make the internal combustion process run more smoothly and raise your car’s performances. As you go fast, especially if your vehicle is bigger than average, you also want to steer smoothly. A **power steering fluid** can do wonders in that department. Changing or cleaning your car’s oil filter might not be a pleasant activity, but it will definitely increase your car’s performance. While disposable oil filters are usually easy to change, cleaning a reusable one is tougher, but they’re usually more effective. Did you know that most car engines use water to remove waste heat? Although this water is usually mixed with antifreeze, resulting in engine coolant, you should still make sure it doesn’t freeze in the winter. The simplest way of making sure is to add more antifreeze solution at the beginning of the cold season. We all know that parking our cars in the sun is not recommended, but sometimes we can’t avoid it. A dark window tint might help with keeping the steering wheel cool, but sometimes it’s not enough. Having a windshield sun shade ready in your car will protect the wheel and the steering board from the scorching sun. Another accessory which will protect your hands from the sun’s heat is a steering wheel cover. Also, check out windshield washer fluids and car upholstery cleaners! The higher the quality of the **car mats** you have, the easier it will be to clean them. Taking good care of your car isn’t always about technical stuff. Sometimes it’s just about making sure it looks nice. Having a well kept, clean car will impress other people. The first thing you want to get is a car cover especially if your car stays parked outside and not in a garage. Keeping your car clean is now easier than ever. There are many specialized products available on the market which will make your car look as good as new. Among the not so specialized products, we can mention a **clay bar** and a **detail spray**. Both will give you quick visual results but are definitely your in-depth solutions. Another quick fix when it comes to denting is, of course, the dent puller which can be a neat little gadget to own. To avoid dents in the first place, though, it might be a smart idea to pick a good car bumper guard. It will give you that extra peace of mind that it’s not the end of the world if someone rear ends you. The best way to make sure your car’s paint look good is to use highly-specialized products. You can clean the whole car with a car wash soap, you can even use a pressure washer for cars with the soap, but that cleanness will only last hours. Now that you made sure the paint looks immaculate, you should improve the tire’s appearance by using some tire shine. It’s not much, but this small detail will improve the car’s general look. Speaking of details, a car should not only look good but smell good, as well. Keeping a car air freshener in your car will dramatically increase its comfort while driving. If you’re one of the people that like doing things by themselves, or if you’re planning on driving off-road, you should have a small toolkit prepared. This kit should have regular tools, like some screwdrivers, flashlight, adjustable crescent, and pliers, but it should also contain some car-specific components, like a floor jack, a torque wrench, a tire pressure gauge, a tire inflator, a jump starter or at least jumper cables, car power inverters and a multimeter. Along with the toolkit, in case you carry more luggage than usual or in case you want to transport something bulky, we recommend attaching a hitch cargo carrier to your vehicle. It is smaller than a trailer and far less pretentious. The first car-specific components will help you with changing a tire. Tires are pretty sturdy, but you never know when disaster strikes, and you should be ready if it does. You will be able to lift your car with a floor jack. After lifting it, use the torque wrench for an easier tire change. The tire inflator and pressure gauge will make sure that the spare is inflated at optimum levels. Also check out the all-season tires, all-terrain tires for on- and off-road adventures and the widest selection of tire chains here. The second part of the kit will allow your car to be started in case your battery runs out or will help you start other cars in need of assistance. Use the multimeter to find out if the battery has trouble, and then connect the jumpers to bring it back to life. While these tools might not get you out of every scenario possible, they will at least get you out of trouble most of the times. If you really like working on the car yourself, you should invest some money in an OBD2 Bluetooth scanner, or a plain OBD2 adapter at least. These devices will allow you to detect and interpret all the error codes that make the “Check Engine” light to pop up, from old spark plugs to worn brake pads or low brake fluid levels. They will even clear the error, so you’ll be able to continue driving without problems. Speaking of brakes, another way to monitor the performance of your braking system is to get a top end brake controller. Most car enthusiasts know what a spark plug does. But most people don’t know that a faulty spark plug can cause a lot of trouble for your car. If you don’t change them periodically, bad spark plugs might lead to engine misfires, higher fuel consumption, and even car starting trouble. Changing a spark plug doesn’t take long, and they’re relatively cheap. That being said, make sure you change them at the right moment. A crucial component for good car maneuverability and handling is the brake. Braking efficiently depends on a lot of factors, and one of them is an optimum level of brake fluid. This fluid transfers force into pressure, amplifying the braking force. Most manufacturers recommend changing the breaking fluid every one or two years, but sometimes it will need changing sooner. Brake pads are other important break components. They convert kinetic energy into thermal energy and stop the car. Every brake pad has a way of alerting the driver that they need changing. Some cause the brakes to squeal, some have a central groove that disappears over time. Others will make the “Check Engine” light to pop up. Theft prevention should never be overlooked and we cannot say that getting insurance is enough. Our crew suggests you take extra precautions and maybe get a top-notch car alarm along with a steering wheel lock. Where you store your car also matters so it’s imperative that you have some perks inside your garage as well. For instance, you don’t want to go to the mechanic every time you want to look underneath your car. Why not simply get a **car ramp** and inspect your car in the convenience of your home? Think about the life of the floor paint too. The less your car stays on the ground, the less your floor paint will wear down. Even so, you can still opt for some high-class garage floor paint options. 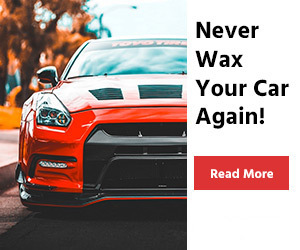 Everybody here at CarOutfitter is passionate about cars, and all of the products are tested and reviewed by specialists, so we only feature the ones we would use on our personal cars. Our passion convinced us to launch this website and our commitment to deliver only the best for our visitors makes us strive for perfection with every article we post. We check tens or even hundreds of products from different top manufacturers to make sure that every product we review is one of the best available in their category. Enjoy reading our articles and make sure you check the website constantly to see the latest articles about the best car accessories available on the market.